Eating is ultimately a personal experience. As much as you wish you could just put food in your child’s mouth or wave a magic wand to improve his eating habits, it just doesn’t work that way. The decision to eat is the child’s. 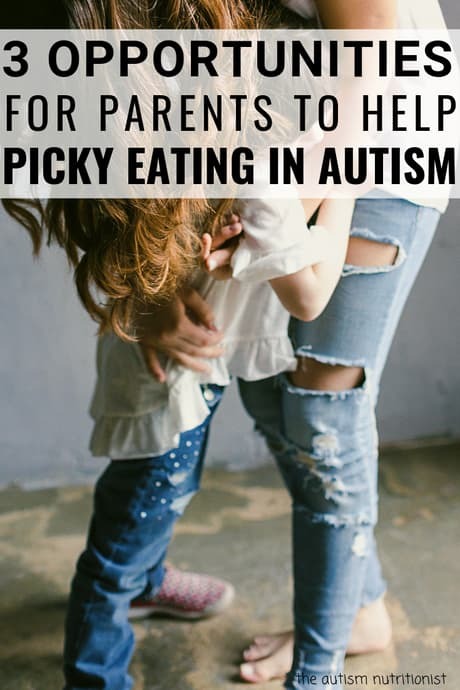 But that isn’t to say that you don’t have a role in your child’s picky eating. Your behavior, emotions, and words actually have a significant impact on your child’s eating. 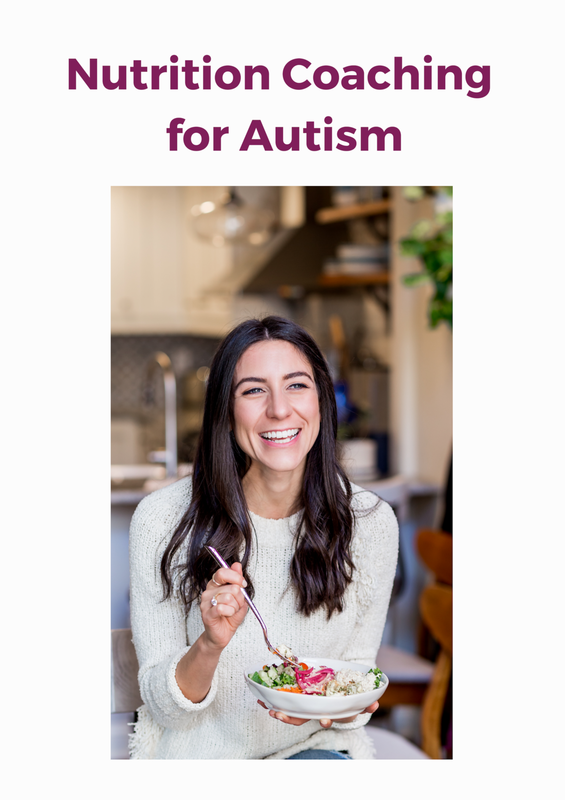 Autistic children tend to respond well with immediate feedback and support, so the next time you’re frustrated with your child during a meal, take a look at your own actions. Are you visibly stressed? Are you eating alongside your child? Do you show him that you enjoy eating? You want to be a positive role model, cheerleader, and supporter of good behavior when it comes to feeding your child. Children learn through observation. Essentially, watching others sends cues to kids about how they should act. Kids are more likely to eat foods that their family eats and research shows that kids of veggie-loving parents tend to have diets rich in vegetables, too. Intentional modeling from caregivers and siblings has been shown to improve food selectivity and intake in selective eaters with autism. Often kids with autism benefit from behavioral triggers such as picture stories. Modeling can also be one of those triggers. The best way to use modeling to to eat as a family. The second best way is to eat the foods you want your child to eat. Those actions are passive modeling. You aren’t doing anything outside of the ordinary. To make modeling active - and more effective - emphasize how good the food tastes. A simple (but genuinely enthusiastic) mmm will get the job done. Providing positive reinforcement (“Good job tasting the hamburger!”) gives your child incentive to repeat the behavior. Encourage behavior you want to see with positive feedback. Be genuine, specific, and provide the reinforcement immediately after the behavior. Like praise, what you say to your child during meals matters. Let your child know when she does something positive. Great! If he doesn’t do something positive, it’s better to say nothing than to yell, criticize or express your disappointment. Negative feedback makes your child more anxious (which lowers appetite) and less likely to cooperate. It also shows him that this behavior will get your attention, so he will be more likely to repeat it. Your response to what you eat and how your child behaves while eating can have a big impact on his or her eating behavior. To encourage your child to try new foods, model good eating behavior yourself, praise her for doing something well, and ignore any behaviors you don’t want repeated. If you’re not already, start having family meals, even if it’s just two of you, and even if the meal is just a snack. Eat the same foods as your child and be vocal about your enjoyment of the meal. Keep an eye out for behavior (sitting well, tasting something new) that you can reinforce with positive feedback.